Please note that whilst access on Kirkbride Road is limited, Gates 1 – 4 on Kirkbride Road will be closed until further notice. All areas of the cemetery can be accessed via Gate 5 and the main gate on McKenzie Road. The program involves the transfer of the existing ash interments and associated plaques to the new Columbarium. 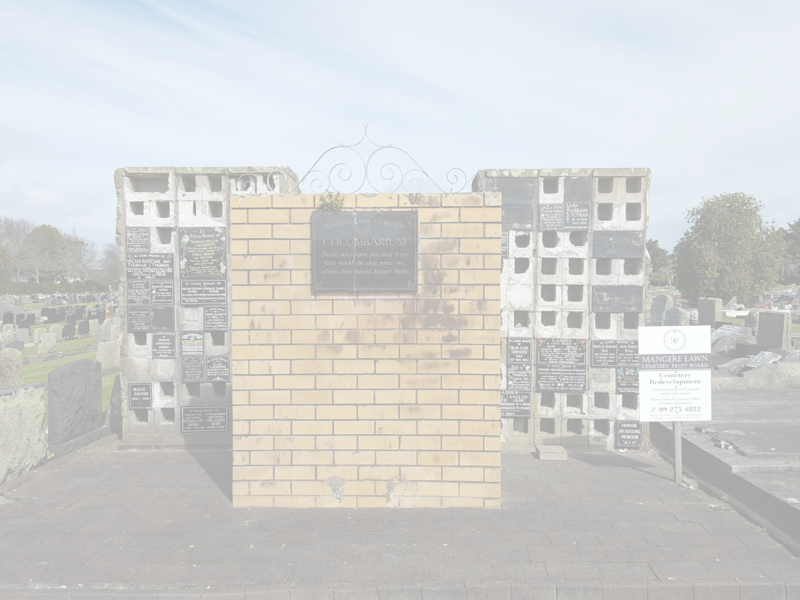 All costs in relation to the transferring of the ashes and plaque, which include the replication of the existing inscription onto a new granite plaque are being met by the Trust Board. From time to time it is necessary for us to top up uneven burial sites (this work is additional to levelling and regrassing new burials). We use soil and/or lawn mix and if the area is large we also re-grass it. When we are doing a large amount of levelling in a specific area of the cemetery, we will have signage displayed. If at any time you have questions about our reinstatement work, please do not hesitate to contact us.